Currently the leading company in the natural stone sector in Turkey, Temmer launched its first investment in 1998 at the beige marble quarry in Bilecik, which ultimately became one of the nation’s largest marble quarries. Over the years Temmer has opened an additional six quarries in Turkey’s most important marble reserve areas, namely Afyon, Eskisehir, Mugla, Kas and Burdur. 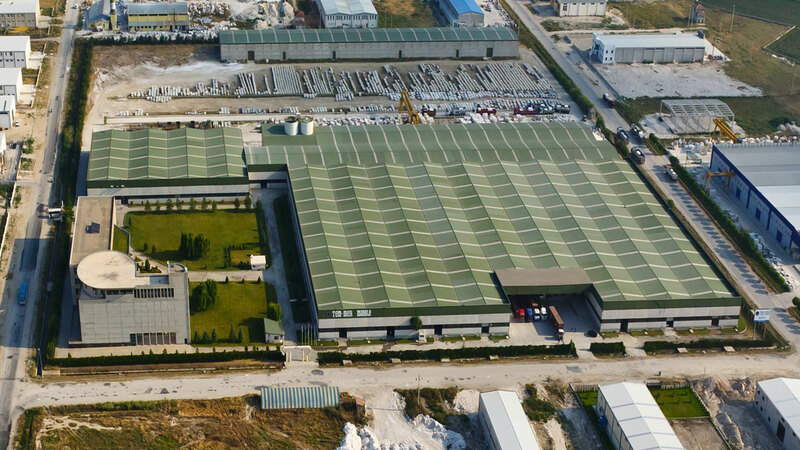 Also in 1998, Temmer completed the largest investment in the natural stone sector by establishing a world-class manufacturing facility in Afyon. The 42,000 m2 plant is situated on a land area of 107,000 m2 and has become the third largest facility of its kind in the world. It’s completely computerized machines possess ultra modern Italian technology and have been integrated by Temmer with the latest advances in the rapidly developing Turkish machinery industry, thus fostering the development of the nation. With its new generation technology of fully automated robot machinery setting it apart in the sector, Temmer ranked first among all natural stone companies in the use of Slab and Strip augmentation systems. As it continues to initiate fresh investments in the new quarries, Temmer is simultaneously increasing its plant capacity, already among the world’s largest integrated facilities, in order to keep pace with the high production rate of its quarries in Turkey. Featuring a wide range of products, Temmer offers the sector new generation solutions for both standard and custom made products, which is in line with the world-class productions standards that exceeds even Turkish norms. All this is made possible because of the Company’s advanced technology and high quality standards, as well as the success of its sustainable production processes. Temmer produces marble in the form of blocks, slabs and cut-to-size products and exports to approximately 40 countries around the world, including North America, Europe, Central Asia and the Far East.